A victim is one who often feels helpless to respond to painful circumstances or to control thoughts and feelings. A hero has worked hard to overcome adversity and refuses to be beaten by difficult life events. 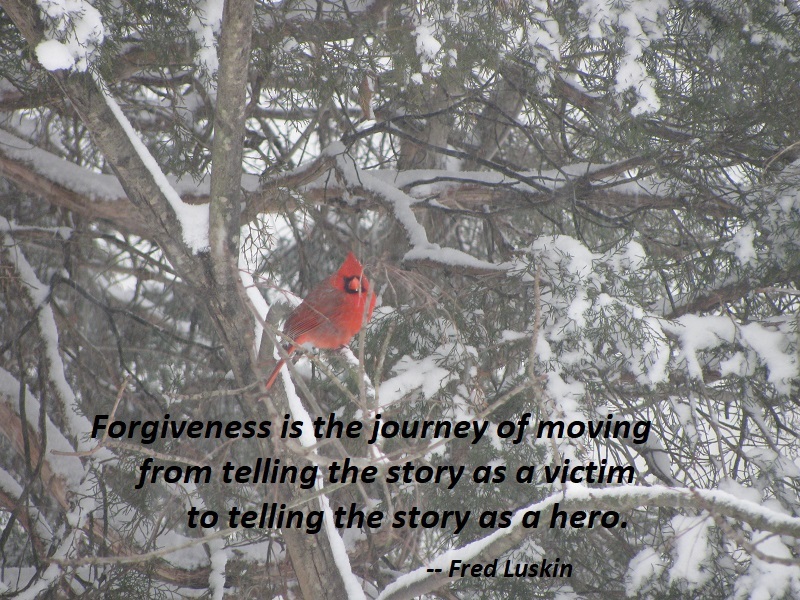 Forgiveness is the journey of moving from telling the story as a victim to telling the story as a hero. Forgiveness means that your story changes so that you and not the grievance are in control. 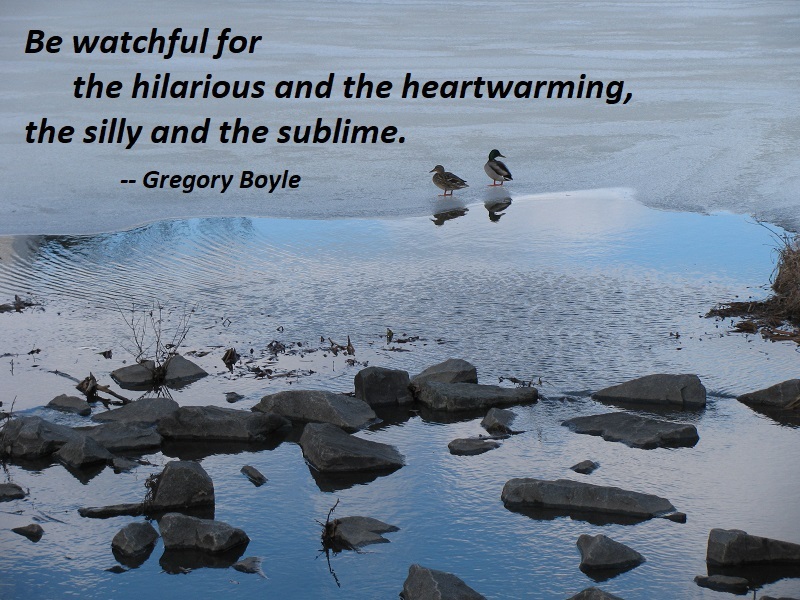 Dorothy Day loved to quote Ruskin, who urged us all to the “Duty to Delight.” It was an admonition, really, to be watchful for the hilarious and the heartwarming, the silly and the sublime. This way will not pass again, and so there is a duty to be mindful of that which delights and keeps joy at the center, distilled from all that happens to us in a day. And yet the scandal of the gospel is that one day the God of our theology books and religious debates showed up — as a person, in flesh and blood. 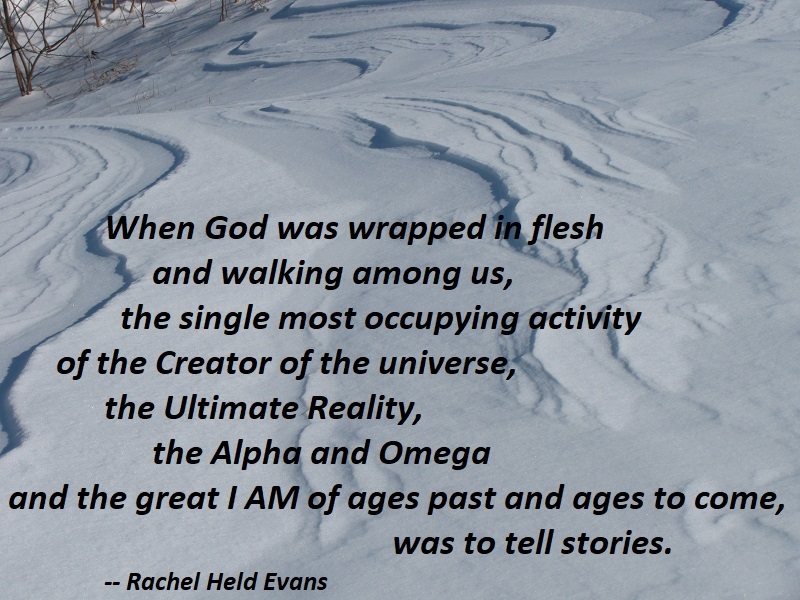 And while God indeed delivered a few sermons and entertained a couple of theological discussions, it is notable that according to the Gospels, when God was wrapped in flesh and walking among us, the single most occupying activity of the Creator of the universe, the Ultimate Reality, the Alpha and Omega and the great I AM of ages past and ages to come, was to tell stories. Lots and lots and lots of stories. God Is Not Angry at Us for Our Sin. This leads to the second truth about sin to keep in mind: God does not punish us for our sin. Yes, we may get punished for sin, but this punishment is not from God. Sin carries its own punishment. 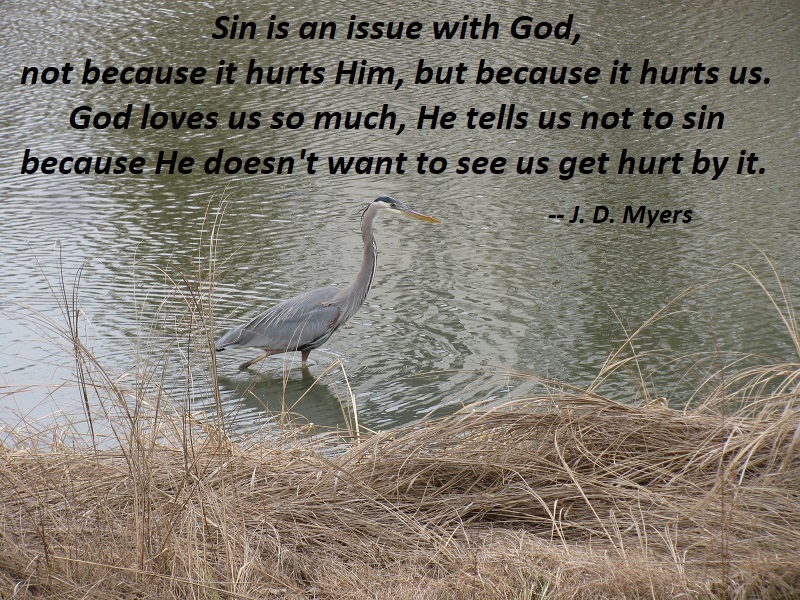 In fact, the punishment that comes from sin is the pain of sin that God wants to rescue and deliver us from. God doesn’t punish us for sin; He works to rescue us from the punishment of sin. God loves us, and doesn’t want us to experience the devastating and destructive consequences of sin, and so He warns us against sin. How can we know all this, yet somehow experience joy? Because that’s how we’re designed — for awareness and curiosity. We are hardwired with curiosity inside us, because life knew that this would keep us going even in bad sailing. We see the newborn energy of the universe most flagrantly in the sea and in the entire Jell-O-y wiggle of a baby. The universe expresses itself most showily as children, and it moves through children of all ages — your nephew, baby Jesus, and Ruth Gordon in Harold and Maude, shimmying at eighty in a cocktail dress. 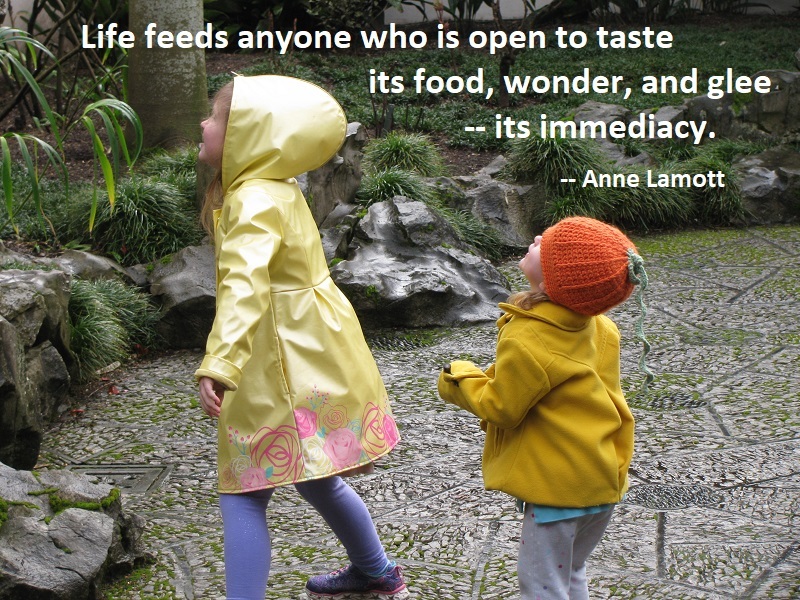 Life feeds anyone who is open to taste its food, wonder, and glee — its immediacy. We see this toward the end of many people’s lives, when everything in their wasted bodies fights to stay alive, for a few more kisses or bites of ice cream, one more hour with you. Life is still flowing through them: life is them. 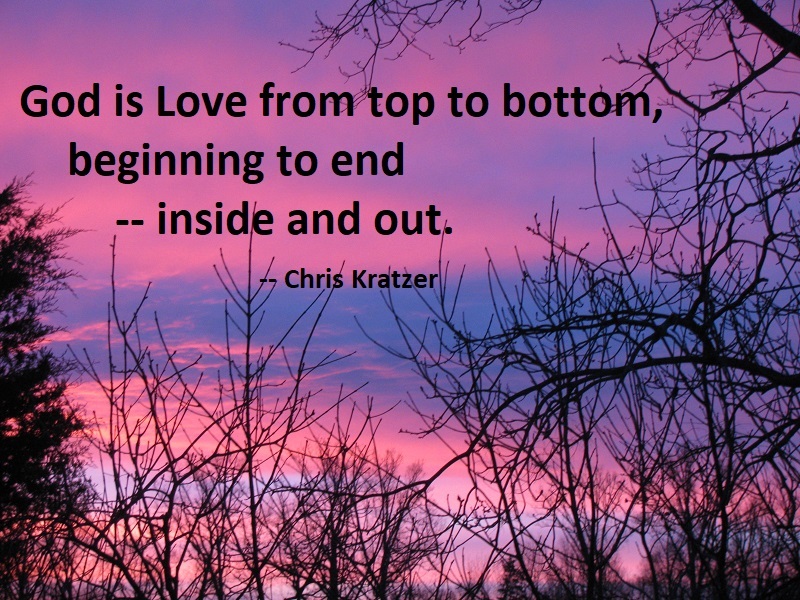 God is Love from top to bottom, beginning to end — inside and out. The expanse of God who is Love is boundless, limitless, unrestricted, and unrestrained. His actions and reactions to every molecule and movement of your life is always Love. God is pedal-to-the-metal in love with you — always has been, always will be. This is the Grace that has always been flowing like a river in your soul, seeking to break the dams of religiosity that hold you captive and well up in you with streams of life everlasting and overflowing. You are currently browsing the Sonderquotes blog archives for February, 2019.